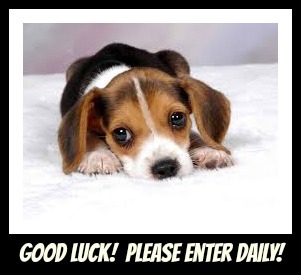 Parents, educators, animal lovers, military supporters, and history buffs everywhere, Sgt. 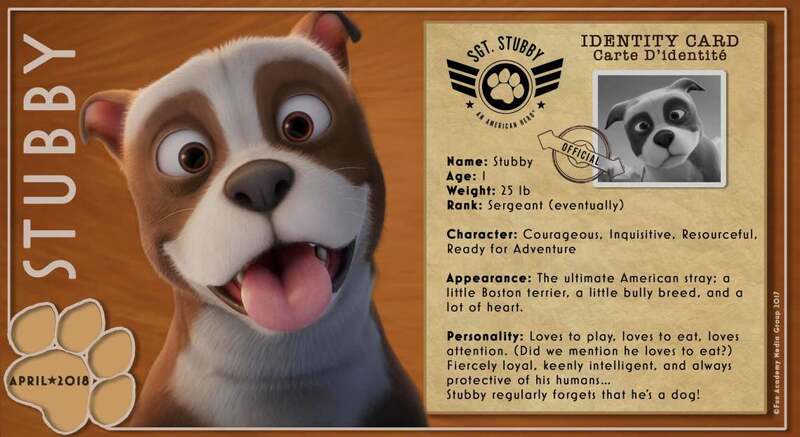 Stubby: An American Hero from Fun Academy Studios is coming to a theater near you on April 13!!! Did you know that March 13 is National K9 Veterans Day, honoring the day when the U.S. military officially recruited its first Military Working Dog – then called the U.S. Army K9 Corps – in 1942? Opening April 13 on approximately 3,000 screens across the U.S. and Canada and coinciding with the year-long 100th commemoration of the United States’ role in the “War to End All Wars,” Sgt. 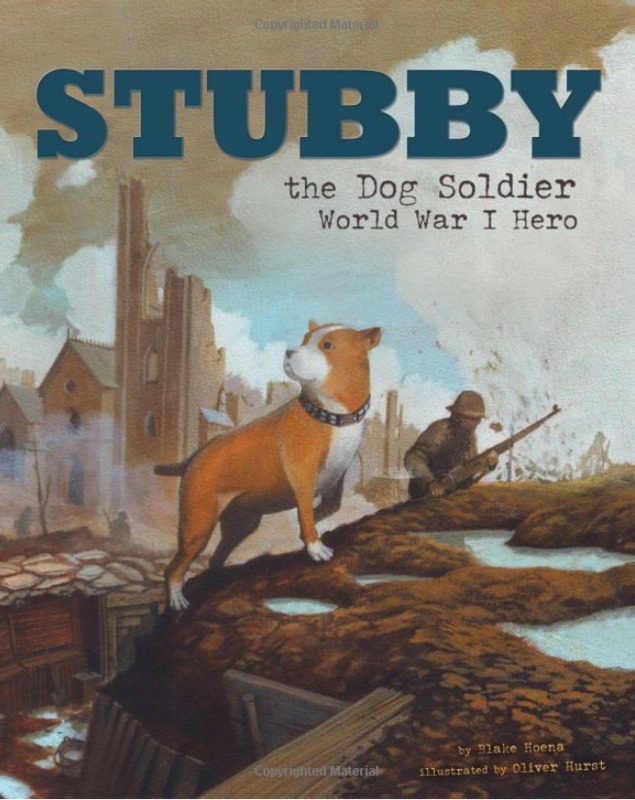 Stubby: An American Hero tells the story of Army “doughboy” Robert Conroy (Logan Lerman) whose life is forever changed when a little stray dog with a stubby tail wanders into a training camp in New Haven, Conn. Conroy gives his new friend a meal, a name, a family and the chance to embark on an adventure that would define a century. Sgt. 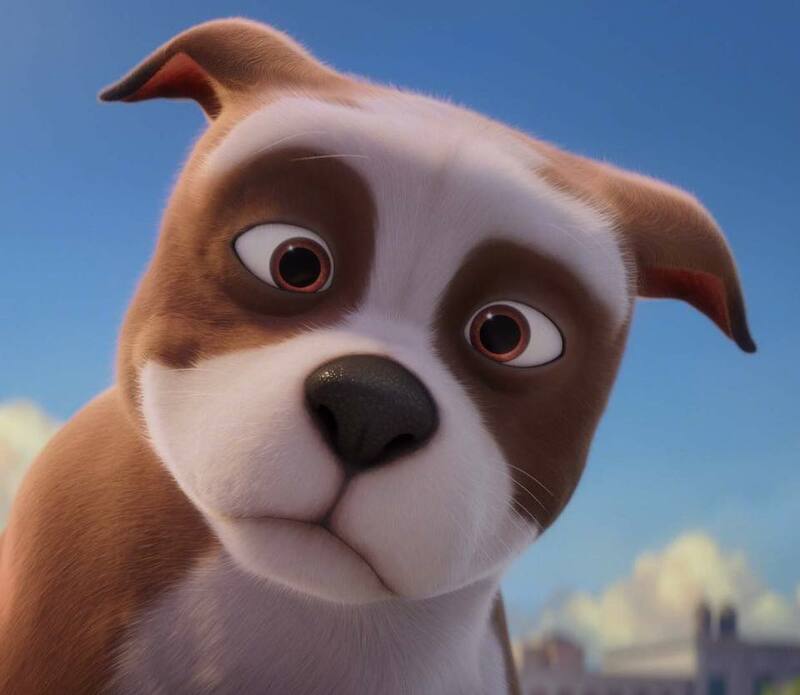 Stubby: An American Hero was directed by award-winning documentarian Richard Lanni in his feature film debut and stars Logan Lerman (Fury, The Perks of Being a Wallflower, Percy Jackson & The Olympians), Helena Bonham Carter (the upcoming Ocean’s 8, the Harry Potter films, The King’s Speech, Sweeney Todd) and Gérard Depardieu (Life of Pi, Cyrano De Bergerac, The Man in the Iron Mask, Green Card). Genre: Animated, Family, Adventure, History. Running Time: 90 Minutes. Anticipated MPAA Rating: PG. 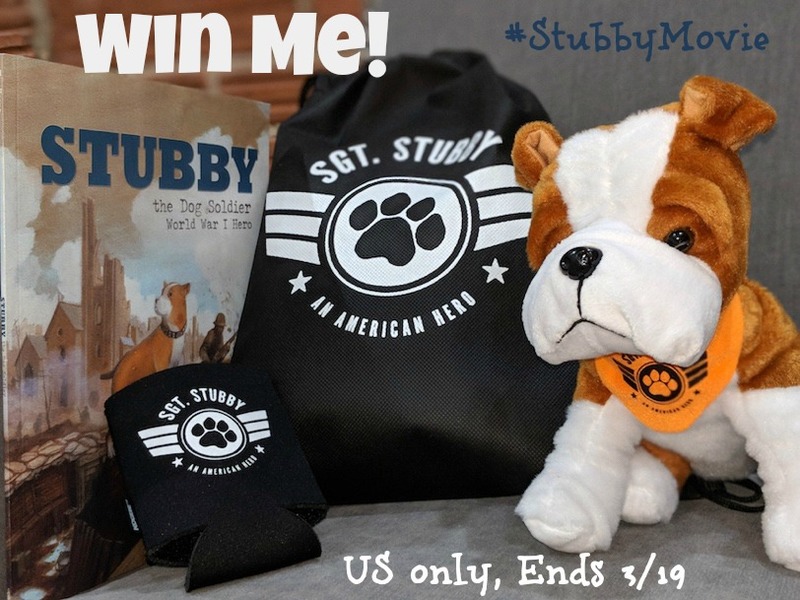 One lucky reader will win the Sgt Stubby Prize Pack: an Adorable Stubby Plush ; a Stubby Kuzi ; Stubby drawstring bag ; and a copy of the hardcover book Stubby the Dog Soldier: World War I Hero from Capstone for ages 5-7 ($50 arv)!